The selection of student marshals is a proud tradition for the University of Missouri and a great honor for those students. Pamela Adkins, DVM, MS, DACVIM, a PhD candidate in MU’s College of Veterinary Medicine, has been selected to receive this honor and continue the tradition by serving as the doctoral marshal for May 2017 commencement exercises. Wearing a marshal’s sash, Adkins will be the first doctoral student to enter Jesse Auditorium on Saturday, May 13. She will be the first doctoral student to walk across the stage and receive her doctoral hood. She will be hooded by her adviser and mentor, John R. Middleton, DVM, PhD, DACVIM, professor of food animal medicine and surgery and the assistant director of the Agricultural Experiment Station at the CVM. Middleton is also her colleague. Adkins has taken a tenure track assistant professor position in the Food Animal Service of the Department of Veterinary Medicine and Surgery. 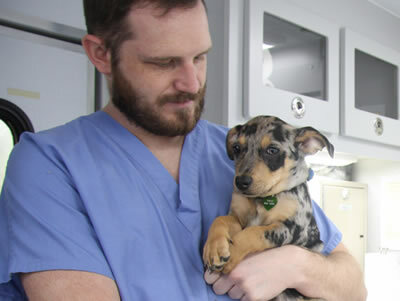 Adkins received a doctor of veterinary medicine and a master’s degree from The Ohio State University. 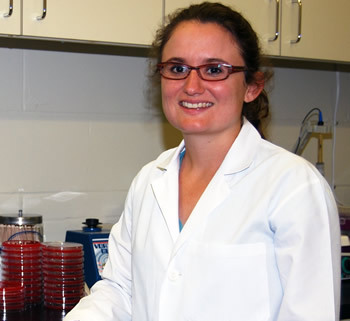 After a clinical internship at Ohio State, she came to MU in 2011 to complete a food animal medicine and surgery residency and pursue a doctorate in pathobiology with a focus on bovine mastitis. Adkins’ research interests include molecular epidemiology of infectious diseases and all aspects of internal medicine in cattle, small ruminants and camelids. As a student marshal, Adkins will assist in organizing and leading an orderly procession of fellow students from line-up locations to designated seating areas for commencement. In their roles, marshals help to ensure that commencement is a successful and memorable experience for graduates, their families and friends, and invited guests of the university.